“No Time to Say Goodbye” by Bill Adler Jr. is a cleverly written sci-fi adventure, full of mystery and intrigue that left me considering all the different possibilities of time travel and life in the future, long after I finished reading. Dennis Tanner is a forty-year-old man, content with his life. He is a respected general surgeon at Mount Sinai Hospital in New York City, and is still madly in love with his wife Rachel after years of marriage. One might say he has everything he wants. Things begin to get twisted when he loses track of a few hours early one morning before work. With no reasonable explanation, Dennis shrugs it off. When the hours start turning into days and weeks, then months and years, Dennis has more questions than answers, and wonders if he will ever get off this seemingly eternal thrust into the future. A whirlwind of a story, “No Time to Say Goodbye” is one man’s desperate attempt to hold onto some sense of normalcy in his life. But what kind of life is he to live as he accelerates non-stop into the unknown? How far will he travel and what will ultimately become of Dennis Tanner? I thoroughly enjoyed this book. The storyline is unique and fresh. The writing is awesome and the effortless flow keeps the reader steadily wanting more as the plot progresses. At just 60-ish pages, I did not want the story to end, but the very premise dictates a quick delivery – it just wouldn’t play out properly in a 300-page read! The characters are very entertaining. Dennis is a likable character and made me feel what he was going through most of the time. There were instances where I found his actions to be a bit far out, but that said, I’m not sure how I would act if I were to wake up in an unknown time period! The reactions from the people Dennis finds as he travels in time are hilarious – imagine telling someone you are from hundreds of years in the past! 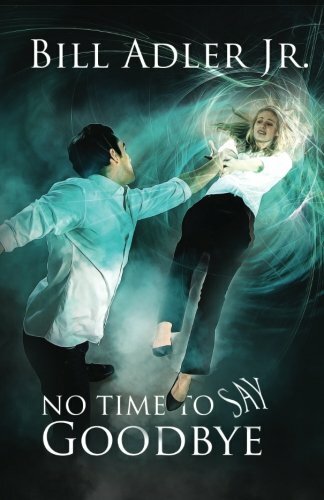 Overall, I recommend “No Time to Say Goodbye” by Bill Adler, Jr. to all fans of sci-fi and time travel that want intricate layers and depth all within a quick and easy read. This book was just plain fun – I plan to check out more works from this author!